Restore, reorganize and recover the legacy data your business model is founded on. No tape drive is too corrupted or damaged for the TTR Data Recovery experts. For all their reliability, tape drives aren’t impervious to human error, manufacturing defects or the passage of time. Although data corruption usually creeps in gradually and grows worse with time, attacking the problem as early as possible makes it one of the simplest deficiencies to solve. Environmental factors, like exposure to gases, moisture, high temperatures or chemicals, can all cause serious damage to the tape drive itself. Although some of this damage is irreversible, our expertise gives us a higher chance of successfully conducting partial or complete recovery operations. 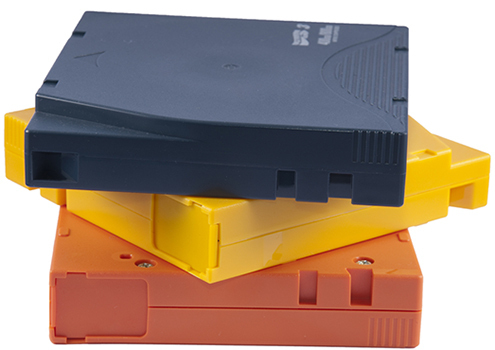 The modern software tools and standards used to store data aren’t always compatible with the logical mechanisms and frameworks employed by older hardware such as tape drives. When what you thought was a routine operation results in your drive becoming unreadable, you can count on the TTR Data Recovery team to get your data back in order so that you regain access to the results. Regardless what kind of problem we’re tackling, we always employ ISO 9001 certified methods, tools and facilities. Our quality management systems commonly exceed these standards, and we diligently adhere to SOC Type II security protocols. In short, you can count on staying compliant even if your tape recovery job is irregular. Need Rapid, Reliable Emergency Tape Data Recovery? It doesn’t matter if your drive has deteriorated into a pile of tangled tape or you simply lack the hardware to access it. Our emergency teams can get the recovery process started immediately. TTR Data Recovery has the expertise you need to give your legacy storage new legs. Join the satisfied thousands whose data we’ve recovered.